← The Road is OPEN!!!!! Property photo taken in 1972 by the property tax assessors office. 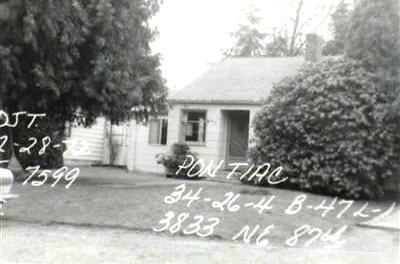 The writing on the photo is the plat name of Pontiac, with block number and address. Photo courtesy of the Puget Sound Regional Archives. If houses could talk! We can just imagine all the memories of Wedgwood neighborhood life from our childhood days, which a house could tell. 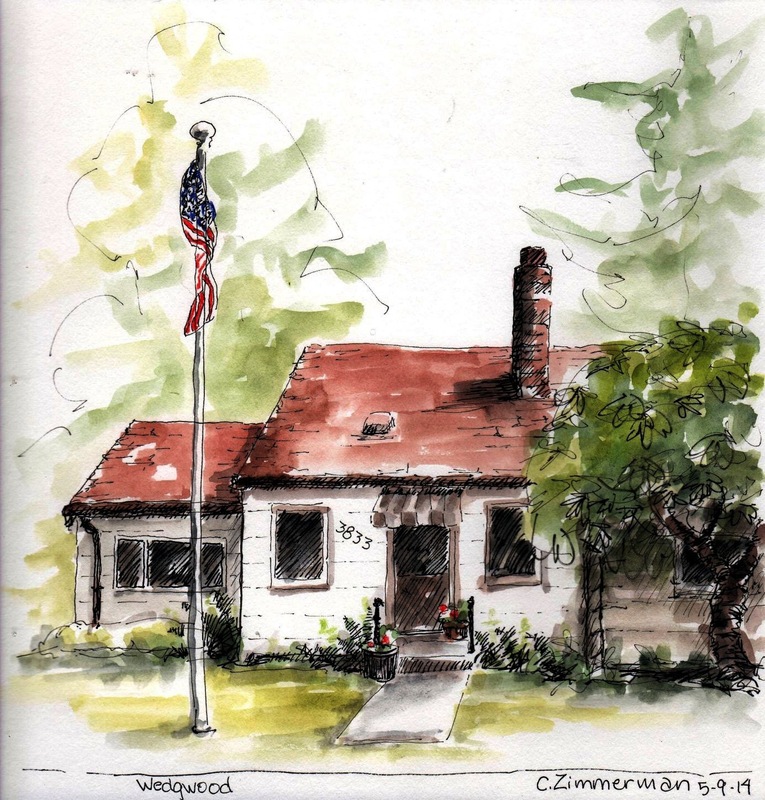 In this guest post from Carleen Ormbrek Zimmerman who is one of the Seattle Urban Sketchers, Carleen captures poignant moments of remembering the joys of her parents’ home during the transition of turning over the house to a new owner. The Seattle Urban Sketchers “see the world one drawing at a time.” They help us see Seattle through the eyes of artists with appreciation for color and detail. Look down the right-side column of the Seattle Urban Sketchers page for the list of blog correspondents, including Carleen. House sketch by Seattle Urban Sketcher Carleen Ormbrek Zimmerman. Used with permission; do not copy. If houses could talk… this house built in 1939 has had two owners. My parents purchased this house in 1952 when the Seattle City Limits were at NE 85th Street. My dad paid $9100. There were empty lots for us kids to play in and plenty of neighborhood parties. We could walk down to Matthews Beach through the woods and cross the railroad tracks before it became the Burke-Gilman Trail. We had bicycle parades with playing cards clothespinned to our spokes. We dragged wooden hydroplanes behind our bikes and could even hear the hydroplanes roar during the Gold Cup races at Seafair. Our house heard music sung by my dad (tenor) in the shower or accompanied by mom on the piano. Every first day of school my brother, sister and I stood outside in the yard for mom to snap a photo. My dad taught all the neighborhood kids how to play “kick the can.” It was a phenomenal neighborhood to grow up in with window-painting contests at McVicar Hardware and rollerskating down the next block on the “smooth street.” The Easter bunny, tooth fairy and Santa always found us. Thank you, Carleen, for sharing your Wedgwood memories. For more resources on finding house history: Finding House Histories in Wedgwood. This entry was posted in Houses and tagged 1950's in Wedgwood, life transitions, memories, Seattle, Seattle Urban Sketchers. Bookmark the permalink.